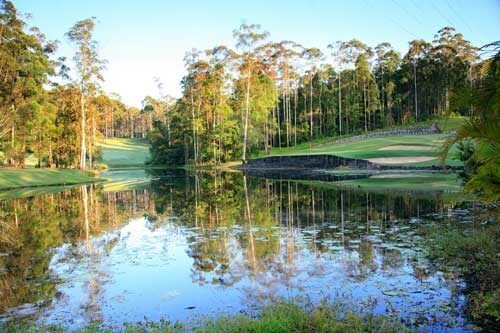 Bonville has been described as ' the most beautiful golf course in mainland Australia ' and this is where you will spend three nights accommodation. 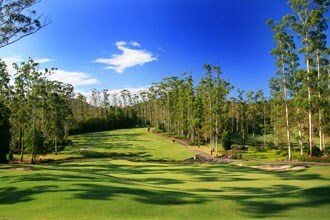 On your day of arrival you will play at Coffs Harbour GC, follwed by two games of golf at Bonville International Resort. 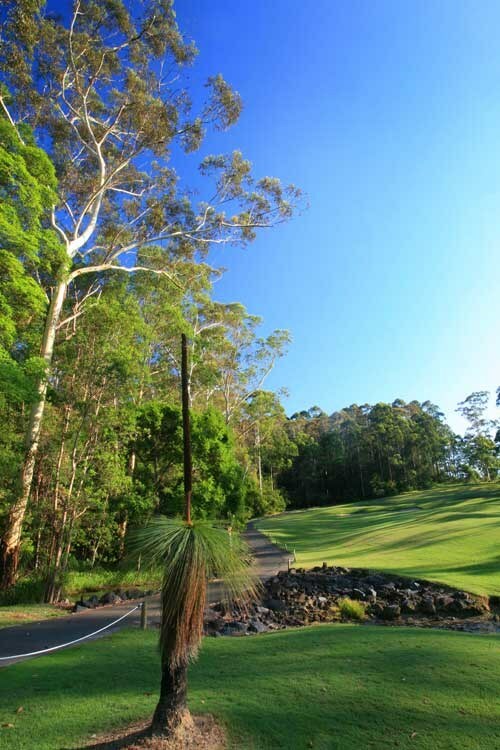 The Coffs Harbour Golf Club is a 27 hole course located two kilometres from the centre of town. Visitors are welcome to play our three differnt layouts as a social player or as a competition player for those who hold valid handicaps. For complete details visit our website or feel free to call us at any time. 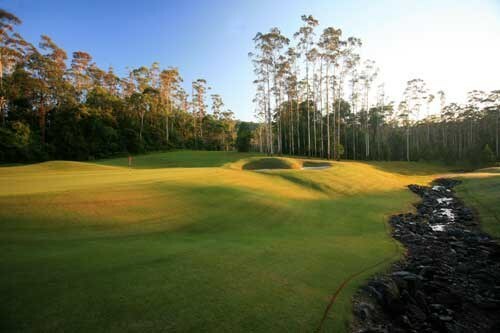 After golf transfer to your accommodation at Bonville International Resort, and check-in. Enjoy the evening at leisure. 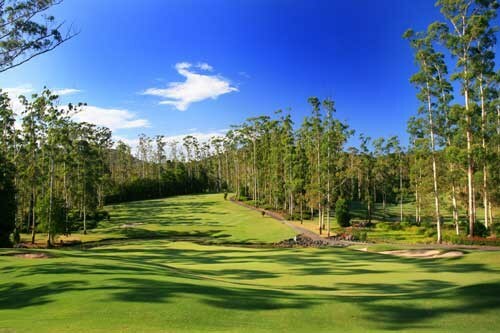 The Bonville International Golf Resort is set within the breathtaking surrounds of one of Australia's most beautiful golf courses. 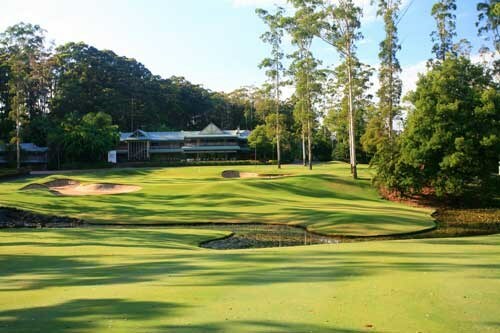 Bonville is rated as one of the best resort courses in the country and has been voted the most beautiful mainland course in Australia for the last 7 years. The par 72 championship course rises and dips through elegant strands of rainforest, each fairway isolated and private from the next. After breakfast, check out of your accommodation. Transfer to the Coffs Harbour Airport. 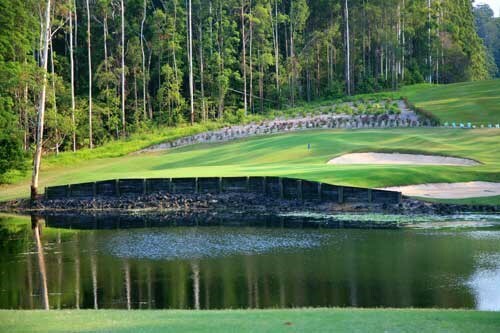 Rated as one of the best resort courses in the country, this par 73 championship course rises and dips through elegant strands of rainforest, each fairway isolated and private from the next. 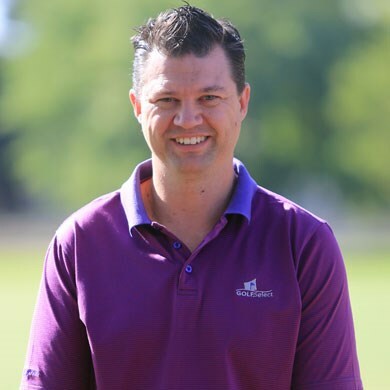 Its great appeal lies in the fact it will stimulate and challenge golfers of every standard. The only disturbance as you meander along in your whisper-quiet electric carts might be wildlife scuttling into the bushes or birds singing in the tree tops. Look closely into those same treetops and you might spy a family of koalas munching on the leaves of the Blackbutt, Ironbark and Tallowood trees. Indeed, Bonville is a natural sanctuary for a wide range of native species including the large black cockatoos, parakeets, water dragons and magnificent goannas. In the evening, swamp wallabies and small kangaroos graze on the light rough. The smart play here is to aim your tee shot towards the fairway bunker, avoiding the water on the right. Take one extra club when approaching the green to avoid cavernous bunker. A short dog leg requiring good positioning off the tee. Longer hitters may try to carry both bunkers, but most will be happy to carry the first one leaving them about 130m up hill to a relatively flat green. A little bit extra club is needed to reach the green. A tantalising par three with the majority of trouble on the left side. Balls landing on the right side of the green may bounce down onto the putting surface. Perfect placement with the tee shot leaves you right in the middle of the saddle. Be wary of the huge ravine which lies just out of sight from the teeing ground. Many a surprised look on peoples faces when told that their well hit second shot has disappeared down the gorge! A straight forward par three which penalises heavily for missing ont he left side. Most important to try and hit your ball onto the same tier as the flag. A testing par four. It takes a really good drive to clear the rise. THe second shot should be played to the left side of the green. A fairly wide par five which still causes its share of troubles. Avoid the fairway bunkers from the tee, then it's decision time. 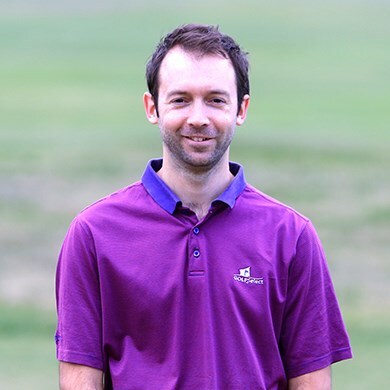 There is a hazard running across the fairway, approximately 70m from the green. Play over or play short? That is the question. A tough par three to return you to the Clubhouse. Out of bounds threatens if you stay too far left or long and there is a menacing bunker on the front right side. Correct club choice is essential. Placement is the key here. There is plenty of room to the right of the fairway bunkers, which will set up a mid iron to a tiered green. The longer hitters can hit over the bunkers from the tee but beware. Out of bounds on the left. The obvious way to attack this hole is - use extreme caution! 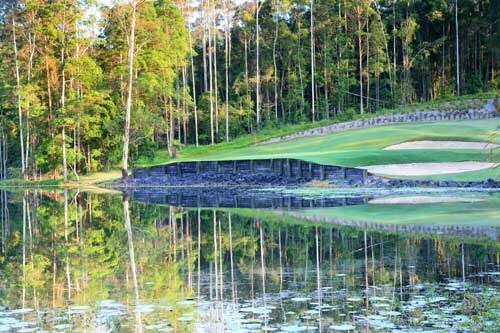 It can be played as a three shot hole - island hopping way to the green, or you can try to hit as close as possible to the water off the tee, then attack the green with your second. An elevated par three with four different tee levels. The bank on the left of the green is a good target. Caution! Too far left makes a par save all but impossible. 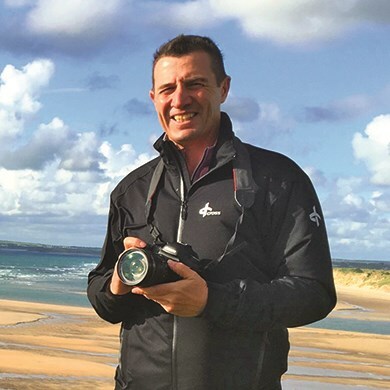 Bonville's toughest test. The aggressive player will attempt to cut the corner and risk losing a ball in the hazard, whilst the wise player will aim just right of the fairway bunkers. With your approach tot he green, be wary of the water which lurks to the right edge of the green. Are you ready to climb the mountain? The fairway bunker on the right side is reachable for most golfers, whereas the bunker on the left side will only be reached by the longer hitter. Take at least one extra club when hitting to the green, as it is a long way to reach the flag. The longest par five on the course. No hidden traps, just avoid the water on the left and the trees on the right. A great dog leg par four which is a highlight of the course. The tee shot should be played just to the right of the fairway bunker. Longer hitters may choose a three wood or long iron, so as not to hit it too far. Choosing the right club is very important for the second shot so as to avoid the pond in front of the green, and the creek running behind. The bailout side is to the right. Don't hit it left! For those who tend to draw or hook the ball, leave your driver in the bag. Keep it in play off the tee, then take one extra club when approaching the green, which slopes to the left. Don't be hypnotised by the reflections off the water. Take dead aim and make a confident swing! An exciting par three which keeps all players in suspense until the ball lands on solid ground. 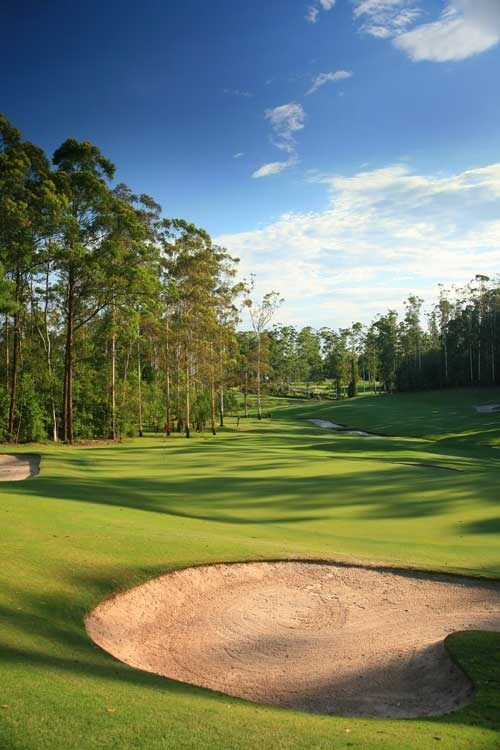 There is not better feeling than making sweet contact with your driver on the 18th hole at Bonville. 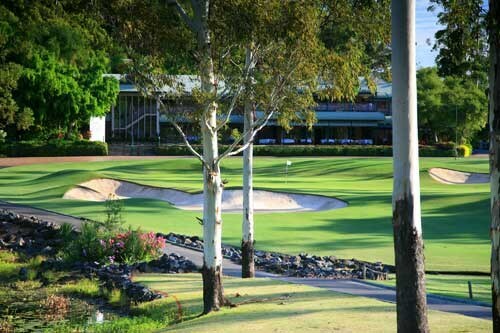 To watch the ball fly long, straight and true, past the fairway bunker and within sight of the enormous green, flanked by the federation style Clubhouse. For those who are not so fortunate, the hole can be simply played as a three shot hole. Just be wary of the water in front of the green. Keep your drive right for the best approach to the green. Tee shot left centre to avoid the tree protecting the green. Water left of the green and a bunker right - in between is good. An iron of fairway wood is the shot here - Out of Bounds (OOB) right. Water left and right off the tee - play it safe - keep left on your second shot for the best approach to the green. Water both sides of the green - lots of subtle breaks on the green. Water left and the best approach is from the right side of the fairway. Watch for water shot left and right of the green. Keep your approach below the hole or face a fast downhill putt. Water awaits a hooked tee shot - avoid fairway bunkers. Narrow drive hole with Out Of Bounds (OOB) right - iron or fairway wood. Enjoy the view on the tee - wind effects the tee shot greatly. A difficult hole, five is a good score - keep tee shots left. Watch for hazards across the fairway 150metres from the green. Accuracy is the key - trouble left, right and over the back. A great short par 4 - iron or 3 wood off the tee to avoid the water. Left off the tee for the best angle to dogleg, then short of the creek. A Narrow hole - keep your shot to the green below the hole.